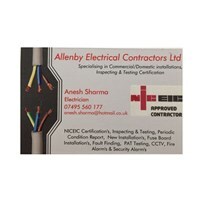 My name is Anesh & I am the company Director and an NICEIC Registered Approved Contractor. We deal with both Domestic/ Commercial. I have been in the trade for some time now & decided to open my own company due to increased demand. I would like to continue to provide my customers with great service & a superb job. Our prices are very reasonable, however, can vary dependant on the size of the building and overall design.